17 Nisan 2019 Çarşamba 20:01 - 3 reads. Marathon The Kenyan Lawrence Cherono has the 123ste edition of the Boston marathon to his name. The finish was mouth-watering, because Cherono took just two seconds ahead. 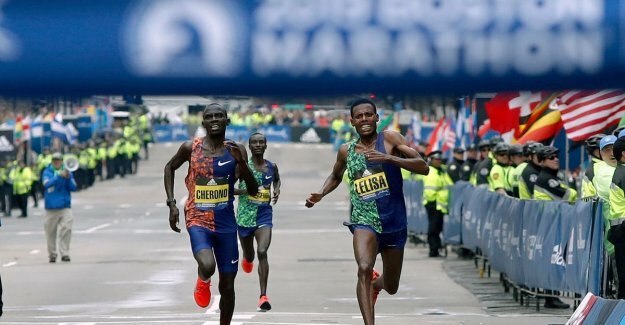 In a breathtaking final sprint of hundreds of meters, gave the Kenyan Lawrence Cherono and Lelisa Desisa Benti from Ethiopia each other not budge an inch. Cherono won after a near-photo finish in 2.07.57 in a soaking wet 123ste edition of the oldest marathon in the world. Desisa gave after 42 kilometers and 195 meters, just a two count. The Kenyan Kenneth Kipkemoi was third (2.08.06). all the women was Worknesh Degefa from Ethiopia the fastest. She finished in 2.23.31, a little less than a minute for the Kenyan double world champion Edna Kiplagat.